Bethesda, MD – Berkeley Point Capital LLC has provided financing for the acquisition of seven multifamily properties located in Southern California on behalf of Dornin Investment Group. Berkeley Point Capital’s, Darrin Stovall, Director in its Irvine, CA office, has led the Berkeley Point team to structure the multiple transactions. 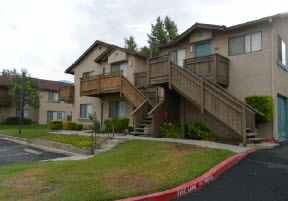 In the most recent transaction, proceeds were provided for the acquisition of Country Club Apartments, a 79-unit, multifamily community located in San Bernardino, CA. The deal was structured under the Fannie Mae Delegated Underwriting and Servicing (DUS®) program as $5,400,000, ten-year, fixed rate execution.